Ofcourse we are very curious about your stay in our lovely holiday apartment “Haus Grietje”. Please feel free to leave a comment about your stay! The place is great. Great value. We were 4 adults and a kid and it was perfect. Quite area, awesome views. The apartment was very comfortable and we were max 15 min by car to all touristic places. Highly recomended. Our spring break could not have been spent more comfortably or care free! This home was well equipped for any family including those with small children (Security gate, highchair and safety outlets). The “King Card” provided us with many ideas of activities and outings. Gea was on hand and ready to problem solve when we experienced a minor personal glitch. Mr. Martin (the neighbour who got us checked in) was kind and helpful. Over all I was extremely satisfied with our stay. If possible we would love to return during the Summer months when we can enjoy playing in the water. Thank you Familie Hoek! The family apartment Haus Grietje is great! Very spacious, very clean, more than complete. Every detail has been carefully chosen, it is appreciated and will make your stay unforgettable. 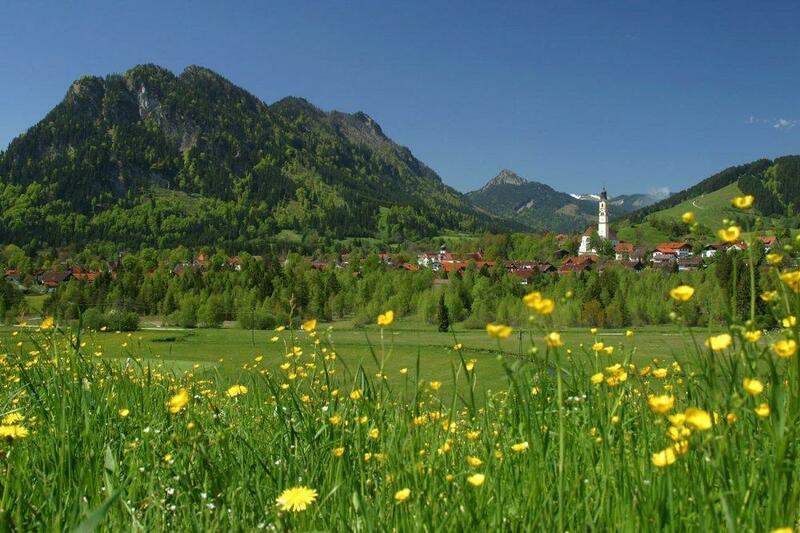 From the windows you can enjoy a beautiful landscape: the beautiful village Pfronten, nearby to Fussen. The Konigscard offers free access to facilities in the area. The family was very useful and timely in responses, even the concierge (Mr. Martin) is flawless. Very recommended! 17.08.2015 We did a wonderful weekend in your apartment. My wife and my children ask me to promise them to come back again on it in the future! Febr. 2015 – What a fantastic appartment, we all felt immediately at home. This place is well maintaned, spacious and cosy. We were impressed with the furniture, fittings and facilities. Furthermore the location is perfect. Close to the village centre, pistes etc. and an added bonus that the Austrian border is so closeby. We will be very sad to leave here. On the bright side, we already made plans to come back next year. Thanks again for letting us stay here and it was lovely (but to short (our daughters words). baths.Gea the owner was also very friendly and helpful by email. I would certainly recommend it. We would like to thank you after a wonderful vacation in Allgau area. The house was great, very well equiped and in a good location for travelling in the area. Thank you very much for the warm hospitality!